North Carolina native Ryan Van Fleet has been playing drums since 1998. 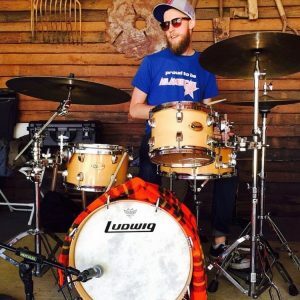 Fluent in a diverse field of musical genres, Ryan’s love for exploring new styles of drumming is a never ending quest of discovery and imagination. Initially self taught, he spent most of Middle School playing in Garage Bands with friends. When High School came along he taught himself to read music and passed the audition for Jazz Ensemble. While attending Appalachian State University, Ryan was immersed in the music scene while playing with some of the best musicians in Western North Carolina. Since moving to Atlanta in 2013, Ryan has taken on teaching Drum Kit and Snare Drum to help pass the torch to the next generation of drummers. *Fundamentals – Technique, Rudiments, Tempo, Dynamics, Reading notation. *Beats and Grooves – The backbone of any good band is a solid drum groove. *Learning Songs – Beginning with hand picked beginner songs, as the student progresses they get to pick their own songs they want to learn. *Creativity – Improvisation, learning how to be spontaneous while still serving the music. *Confidence Building/ Humility – Most people need a dose of one or the other, and it goes a long way in making you a more successful musician and human being.